England were not required to be as creative as they were against Ireland. The France defence was more chaotic and easily manipulated than Joe Schmidt's side. 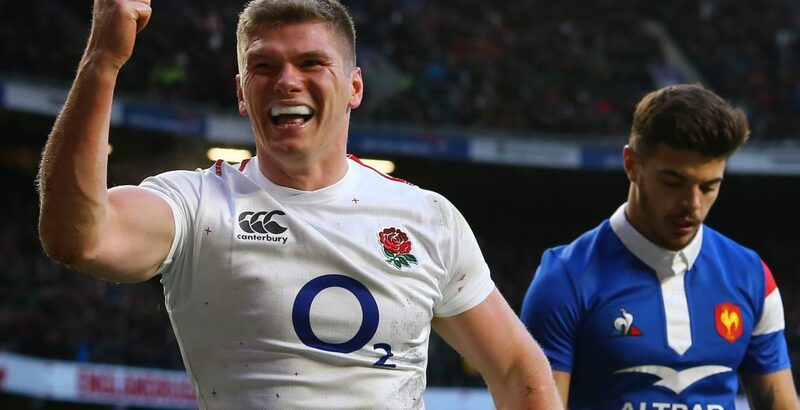 Someone in Eddie Jones' brains trust of coaches worked out there would be space in behind the France defence and the team exploited it time and again, with three of their four tries created by a kick ahead. Despite nearly 60% of the game being played in the France half, England kicked the ball from hand more than the visitors - 49 times to 38. Last week, Robbie Henshaw was standing in at 15 for Ireland. This week, Yoann Huget - whose last start at full-back was back in June 2013 against the All Blacks - filled in for France. Huget's commitment to one-on-one defensive situations is not all it could be, but crucially he also failed in his role as the commander-in-chief of a pendulum defence. Too often there wasn't anyone at home. It was not necessarily a pre-planned move, but England's coaches would have raised the possibility that France would be out of position in the backfield then trusted their players' ability to read a field and work out if the theory is becoming reality on the pitch. The class of 2019 dealt with the challenge of going away to Ireland's Aviva Stadium very well. I think the match will be decided by the contest between England's multi-threat attack and Wales' defence, masterminded by Shaun Edwards. The Wales wingers will have to be very cute in how they try and cut down Tuilagi's space. Equally, England will have to be canny with the times they use Tuilagi as a carrier or a decoy. It will be England's attack against Wales' defence. Eddie Jones' men will be favourites - so it's how they handle it. Everyone around England is already talking about winning the Championship, the Grand Slam and the World Cup - but they have to take it game by game.